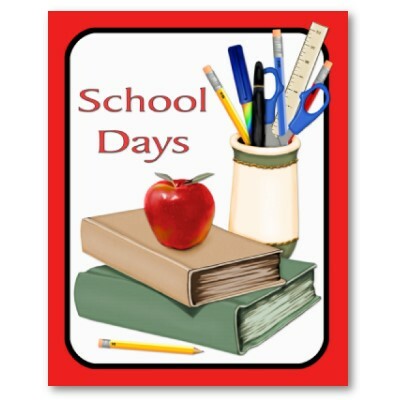 What I learned on my first day at “school”… Reflections from the Alois – Find You in the Sun – A daughter's slow waltz with her mother's dementia. This is our first Sharing Circle session at the Alois Alzheimer’s Center since we left off in May. We enter the Alois, leery of finding out who might have died while we were away. Sometimes, we enter awash in guilt. Today, I enter in curiosity after the events of the summer, my father passing away, moving Mom into another Alzheimer’s care center (not the Alois), one closer to my paths of work and home. Mom survived three moves in two months, due to circumstances beyond her control and for that matter, beyond mine. She is at peace now, a little more sedate (not drugged) from the trauma of her loss. Mom sits comfortably in the out doors. We pretend we are in Florida, which is not difficult in these dog days. She evens extends her warmth to the resident dogs, which she didn’t used to. I write those previous lines, having become an instant and reluctant student of care centers for those with memory impairment. This is not a review of any of those. I will save that for another blog. This is a reflection on where Mom is on her journey, and how I see the members of our Sharing Circle on their paths. The topic today is school. Who doesn’t love that topic? Typically, kids still attending school. But today, we were able to pull out many memories, including one where R. said she would pit her meatloaf sandwiches against my mom’s any time. I would relish the challenge, if only it could be so. But we let them imagine here. We speak of futures. For that one moment, a purpose arose in R. that had not been apparent beforehand. My attentions are focused on tasks at hand, reading Shel Silverstein, “I Cannot Go to School Today”, singing School Days, “you were my barefoot bashful beau” as W. plays air piano to the tune, and listening to M., a new member, proudly read his essay, which began with learning to play trumpet in school and concluded with pride and a sentence about his participation in the National Guard marching band. Occasionally, I slip. I look at ML’s nails, and think, I must tend to Mom’s, which are long and the sparkle is wearing off. I see W.’s hair, perfectly coiffed and recall that beauty shop had not been able to fit Mom in this week. I hear M., born in Scotland, recollect her time at school as being very different from others. She spent her school days in the midst of air raids. She is one of our new members. In her, I sense belligerence, distrust, setting herself apart. I also recognize the signs, as they were once in my mother too. So I listen, I remain calm. I include. I validate her anger, her voice. Hell yeah, I’d be angry too, if I knew to be angry about losing my memory. Last Spring, I had hoped to bring Mom to one of these sessions. At the time, she literally lived around the corner. It would have been no effort to pick her up. But Dad had begun his decline. I was constantly being called in by staff for one small incident after the other. And that day, the one I had planned, I chose to take a break from my parents. As I hear our circle members complain about Math, their least favorite subject, and recall taking naps in school, that one day comes back to me. The one day I could not muster up energy for my mother, but I could for everyone else’s mother and father who were residents of the Alois. Our circle closed with recollections of art class, E.’s favorite, going home from school to play with friends, and cookies and juice. As the residents returned to their couches, their naps and other activities, one stuck around. It was M. In conversation with him, I wasn’t certain his disposition qualified him to be a resident. “M. Thanks for coming, did you enjoy this?” I recalled the skepticism on his face earlier, and the snickers that he and F. traded, the only two males, while they read the poetry aloud to each other before the circle began. “I sure did.” I offered him a shoulder hug. Personal touch remains of utmost importance to their self-esteem. I laughed because I thought he was half-flirting. And because I didn’t believe he was old. Later he told me he was 74. Then how blessed was I to have had my dad ten years beyond 74, his mind intact before he died. How blessed was I to have had Mom for 80 plus years, before the dementia settled in. Thanks M. For reminding me of Jesus’ well-worn words from Matthew 25, “Whatever you do for the least of my people, you do for me.” Today, whatever I was doing for M., for ML, for the residents of the Alois, I was doing for my mother. Previous Revisiting “Thank a Teacher” on the verge of school beginning once more….